One of the best choices for covering bare spots in shady areas, the English Ivy plant is a vining ground cover which serves multiple purposes. 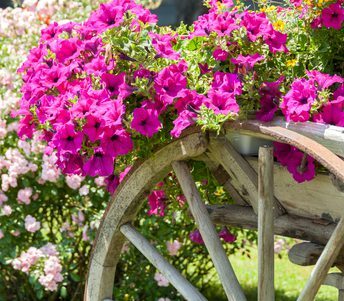 It will grow in heavy shade, but is versatile enough to tolerate light morning sun. 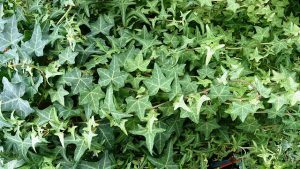 English Ivy is evergreen, and as a ground cover it will reach a height of 6-12 inches with dark green leaves up to 3 inches long. It is often planted as a lawn substitute under shade trees, or as a means to fill attractive foliage in other bare spots where nothing else will grow. An additional ground cover use is to plant it on slopes, where grass is difficult to maintain. 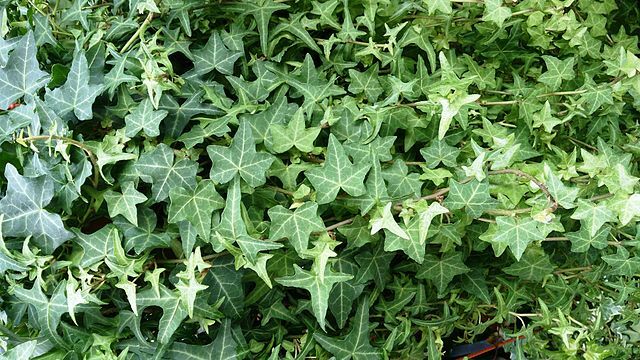 As a ground cover, English Ivy provides a benefit in the area of soil erosion. As if its ground cover uses aren’t enough, the versatile English Ivy is also a great climbing vine. It is a quick grower that will spread both upward and outward. You can use it to cover a wall or the side of a building. Using a trellis as a guide, English Ivy will grow over the top of an arbor or pergola and provide welcome summer shade. When trained up the side of a building the leaves will also soak up afternoon heat, which can reduce cooling costs. English Ivy is a great summer plant, but it is best planted before the hot, dry months to give it time to establish. The soil needs to dry out between watering, but not so much that the plant dies. It is easier to do this, and get the plant established, if it is put in before summer.